Our Phonak Belong hearing aids, with new AutoSense OS, are designed to seamlessly adapt to sounds wherever your day takes you. AutoSense OS is really smart technology. It analyses the sounds around you every 0.4 seconds and can identify whether you’re in a noisy resturant, car, concert hall or at home. It then draws upon multiple features and blends them to create over 200 distinct settings that precisely match your sound environment. Without having to adjust your hearing aids manually, you can enjoy unmatched hearing performance and sound quality. When it’s noisey around you it becomes difficult to understand what is being said. For AutoSense OS to work effectively, it utilises Binaural VoiceStream Technology™. Of course, two ears hear better than one and this doesn’t change when you wear hearing aids. Binaural VoiceStream Technology is designed to tackle challenging listening situations by stimulating what the brain does with sounds from both ears. Linking both hearing aids ensures that you benefit from hearing speech in both ears, especially in a noisy environment, on the phone or when you can’t be face-to-face with the person chatting to you. Now you can answer your mobile phone* through your hearing aids. 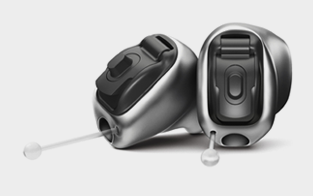 New Phonak Audéo B-Direct hearing aids feature cutting-edge technology and built-in microphones that make phone conversations truly hands-free. So you can experience all the features of Phonak Belong hearing aids, with an added, innovative benefit. 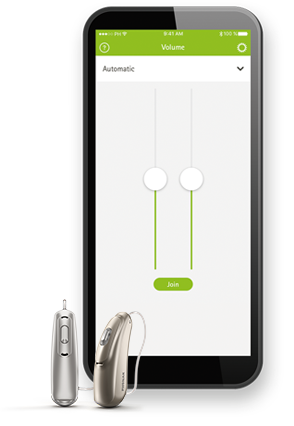 You can also adjust your hearing aids directly from your smartphone with the new Phonak Remote app. *with Bluetooth® 4.2 wireless technology and most older Bluetooth phones. By zooming in on a single voice in a noisy environment Phonak Belong provides a 60% improvement in speech clarity - compared to those without hearing aids. Thanks to the automatic selection of the best settings for everyday listening situations, Phonak Belong boasts 20% understanding. Compared to prior technology, Phonak Belong offers a 37% reduction in effort when listening to conversations in the car. With the newest products, Phonak Belong customers reported a 10% improvement in soft speech understanding. If you’re a music lover, Phonak Belong is also a top rated hearing aid for music sound quality. Phonak Belong 30, Phonak Belong 50, Phonak Belong 70 and Phonak Belong 90. Phonak have also created their smallest custom hearing aid - Belong-Titanium. Made from medical grade titanium, it is discreet, durable, and lightweight. Want to learn more? 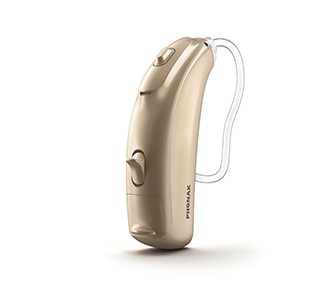 We also offer a rechargeable version - Phonak Belong-R.